We Clean Your Carpets Like Magic! Experience why your neighbors in Brentwood & Discovery Bay trust Presto for all their carpet & interior cleaning needs! Presto Carpet & Tile Cleaning is a family and veteran-owned and operated business with over 15 years of carpet cleaning experience. We pride ourselves in our core values which have remained the same since our beginning: excellence, honesty, quality, and service. It’s these 4 values that have earned us hundreds of 5-star reviews across your favorite review sites... and you can read our verified reviews right here! How Can Presto Help You Today? "In summary: easy online booking, technician arrived on time, the price was the price (no extra or hidden costs), professional service." "This was a great experience from beginning to end. Scheduling an appointment was simple, and the technician I talked to was really friendly and knowledgeable." "I will definitely be using them again. They showed up on time, we're friendly and professional, and did excellent work. Highly recommend!!" 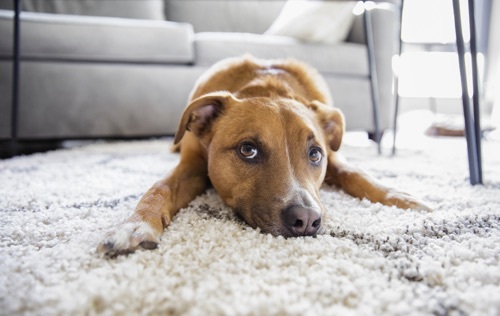 Kids, pets, spills — your carpets are the first thing to suffer from a mess! And it’s tough to feel comfortable in your home when you have carpet stains staring right at you every day. Carpets are also great for hosting foul smells. If you’re tired of dealing with stained, smelly carpets, call on Presto to make your carpets just like new again. 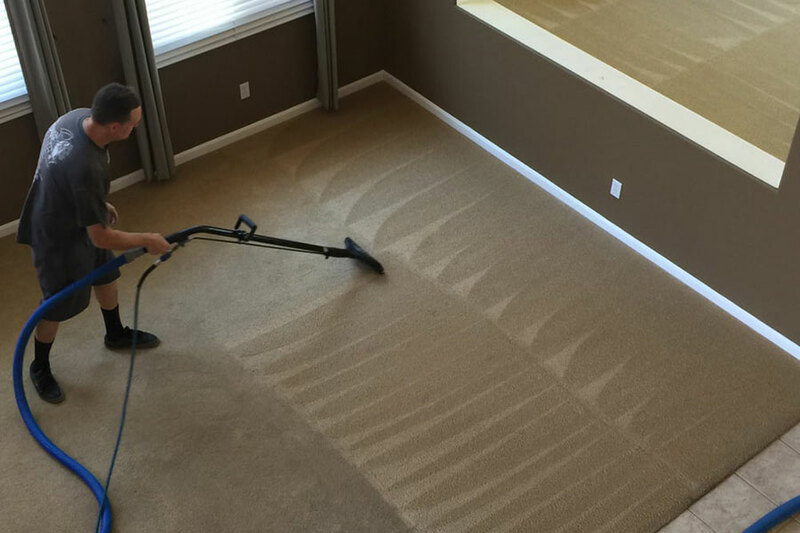 Whether your house is on the market or you just want to walk around without stepping over stains, Presto Carpet Cleaning has over 18 years of stain-busting experience. We’ll vanish your stains and kill the foul smells living in your carpet. When we’re done, your high-traffic areas will look beautiful. 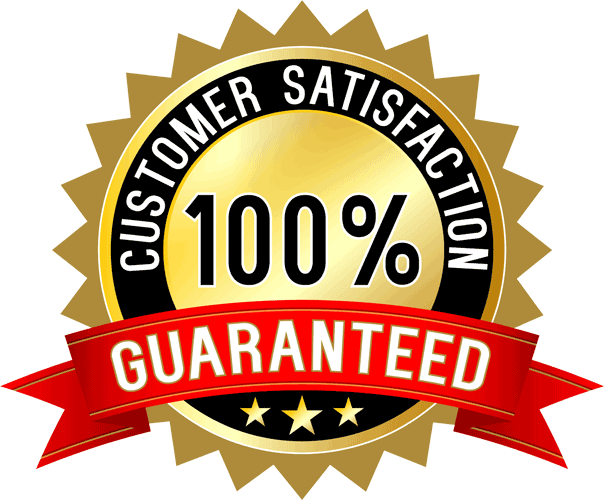 And we guarantee all of this with our satisfaction guarantee! No extras or hidden costs — what you see is what you pay! Even with the most well-trained pets, accidents are bound to happen. You aren't destined to stained, smelly carpets just because of your animal friends! At Presto Carpet Cleaning, we can eliminate pet stains and odors using our pet-friendly and environmentally-safe process. No matter how careful you are, your carpet will attract stains over time. 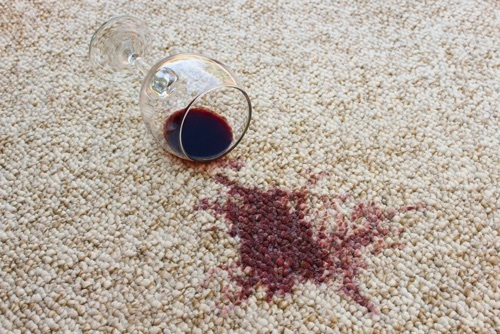 Stop fretting every-time this happens with the use of our carpet proctecting process. We use a Scotchgard solution to protect your carpets — and keep your carpets looking fresh and stain-free for longer. When you look at your tile and grout floors, what do you see? Do you see flooring that’s full of life — or a dead, dirty, grimy floor? If you’re like most homeowners, you’ve tried cleaning your tile and grout yourself with mediocre results. Getting on your hands and knees and scrubbing your floor for results that you can hardly notice is no way to spend your time. When you want tile and grout floors that shine, we can help. 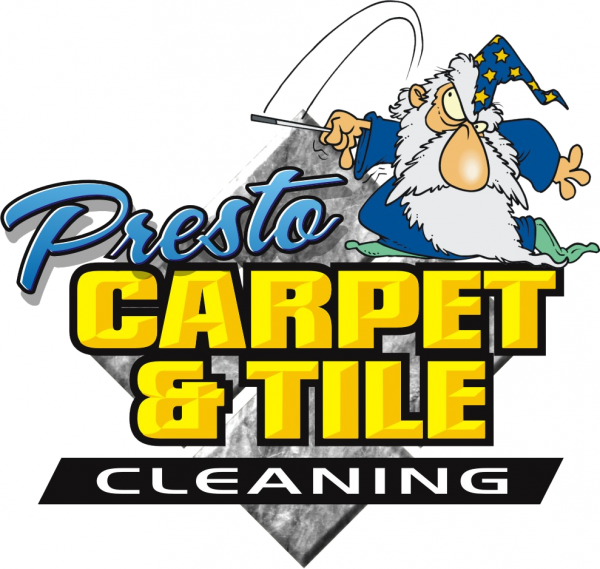 At Presto Carpet & Tile, tile cleaning is the another one of our specialties. 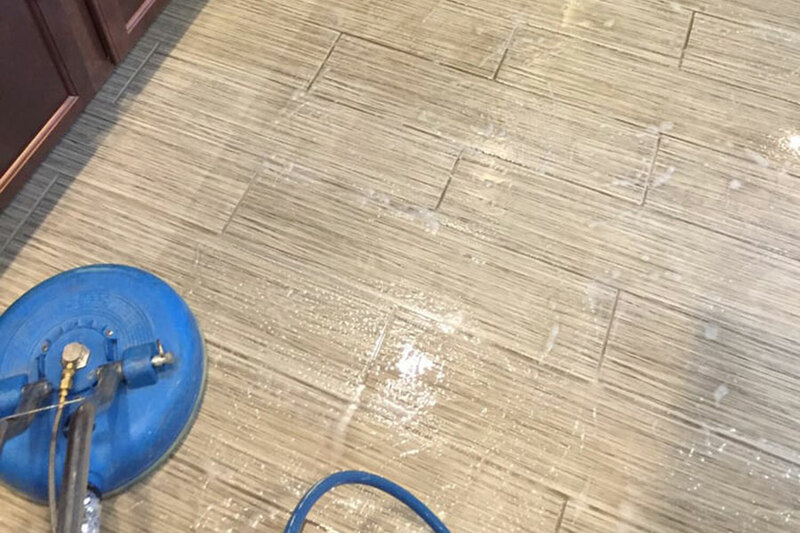 We know how to bring your tile and grout back to life. 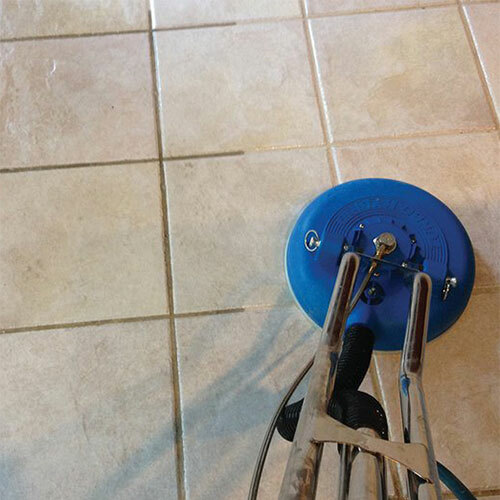 With our industry-leading tile and grout cleaning equipment, we’ll get rid of years of dirt and stains. Tap one of the buttons below to learn how we can restore your floor to looking better than ever! 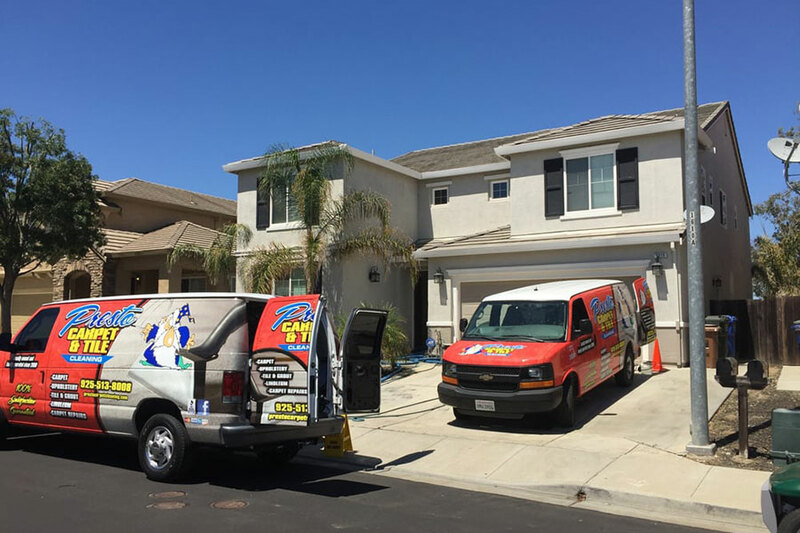 "The pricing was excellent and the did an excellent job cleaning my carpets. They are a very professional company and I will use them again." "Brian did a great job on my rental property rugs! 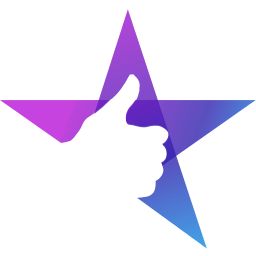 Would recommend Presto to anyone who wants prompt hassle free service." "Have utilized their services now many times & I have to say they never disappoint. Overall awesome customer service & professionalism plus our carpets look brand new." Try unwinding on your sofa when it smells funny or it hasn’t been cleaned in years — not very relaxing. Dirty upholstery defeats the entire purpose of having a sofa in the first place! 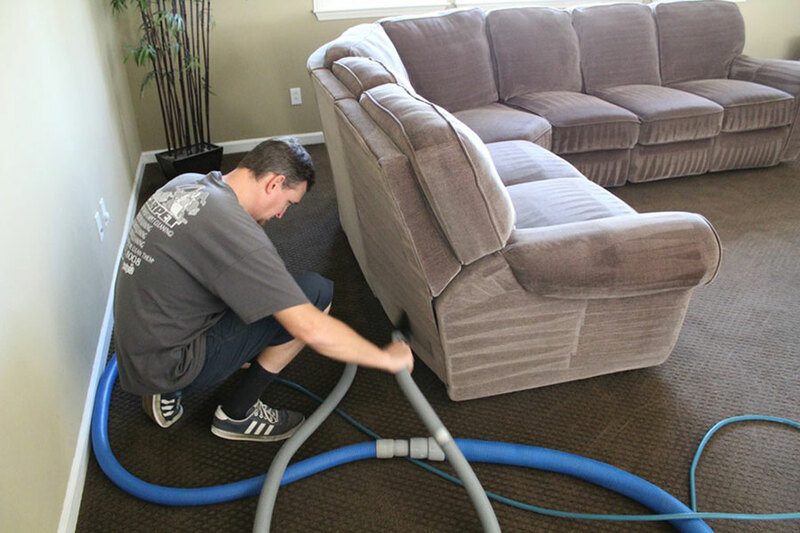 Cleaning your upholstery is a tough, time-consuming task. When you don’t have the time and want to give your furniture a much-needed makeover, Presto is here to serve you. Just like we do with carpets and tile, we excel in restoring your furniture to a like-new condition. Is your couch full of pet hair? No problem, we’ll get rid of every hair. Is your favorite chair stained and marked? We’ll handle it with a deep clean. 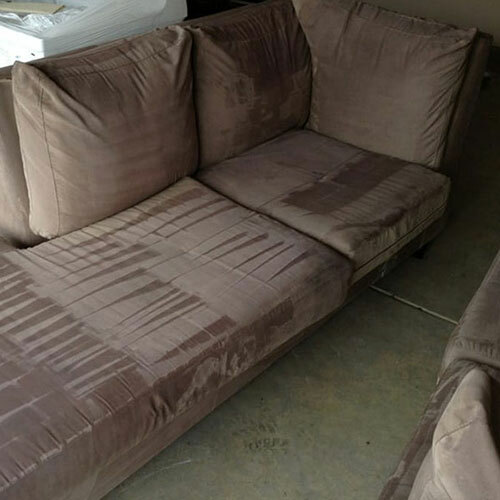 No matter how your upholstery is looking or the abuse it’s taken, we have the expertise to bring it back to life. When lint builds in your dryer vent, it blocks the flow of air from the dryer to the outdoor vent. This heat can cause highly flammable particles like lint and clothing to catch fire. By having your dryer vent cleared of any lint or debris, you lessen the likelihood of a fire occurring due to a blocked fire vent. 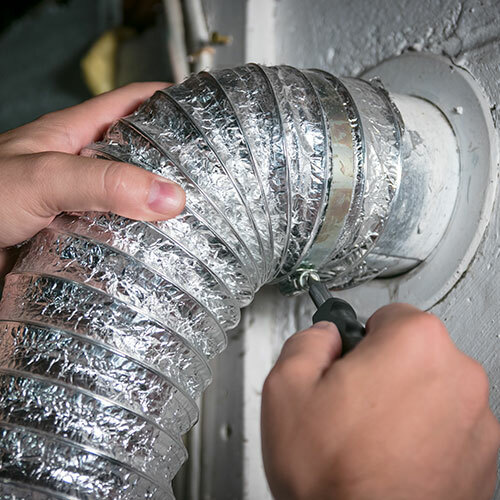 Dryer vents clog when enough lint accumulates in your ventilation system to cause a blockage. 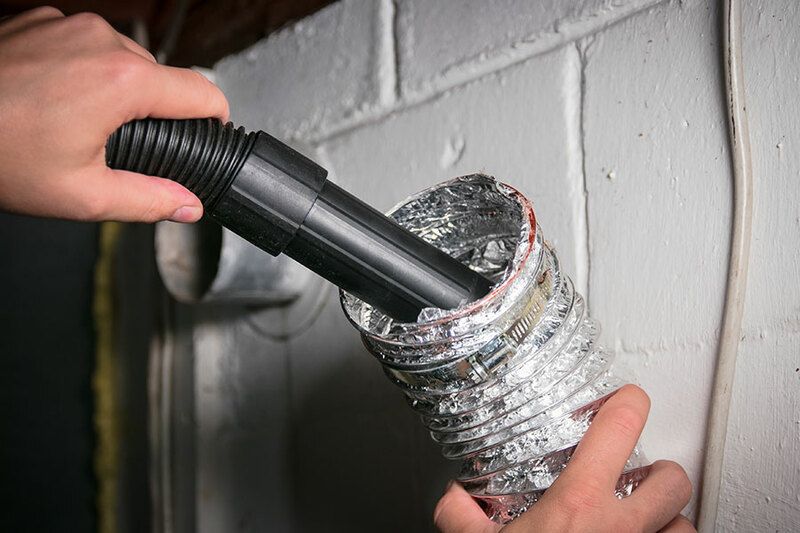 Dryer vents can clog in a variety of ways. For one, a lengthy distance on a dryer ventilation system increases the likelihood of bends and curves in the system, where lint is most likely to collect. Second, dryer ventilation tubes are made from pliable plastic or foil, which can be crushed or dented given enough pressure. Finally, a poorly connected ventilation or dryer vent screen can cause lint to trap. Some ventilation screens serve to prevent animals from accessing the ventilation, but these screens can also create a barrier for lint. Professional dryer duct cleaning from Presto helps your dryer work at peak efficiency, which can save money on energy bills. A clean dryer duct also makes your home safer by helping prevent dryer fires—and, for gas dryers, by helping prevent carbon monoxide from escaping from the duct into the home. "Thank you guys so much! The carpets look great! Best carpet cleaning we have had. I appreciate how understanding you guys were!" "My wife and I would like to thank Presto carpet for their top notch service. They texted their time of arrival and showed up right on time as scheduled." "The customer service is great. They do a good job even getting the toughest stains handled on a light colored carpet." Have your hardwood floors seen better days? 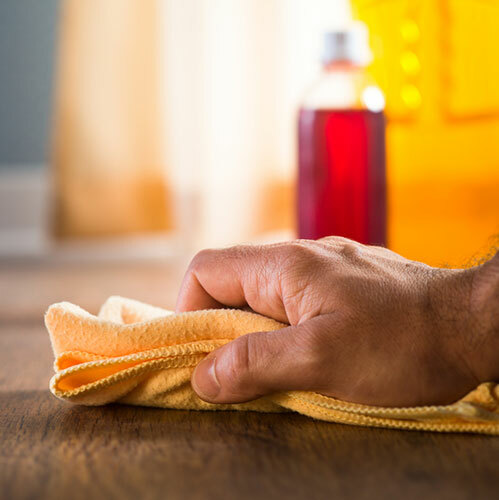 Dirty hardwood floors are dusty, stained, and bring down your entire home’s appearance. And even if you want to clean them yourself, you have to do so with extreme care — otherwise, you risk damaging your floors and causing expensive problems. Don’t go another day looking at dead, dirty hardwood floors. For a professional hardwood floor cleaning experience, we’re the ones to call. 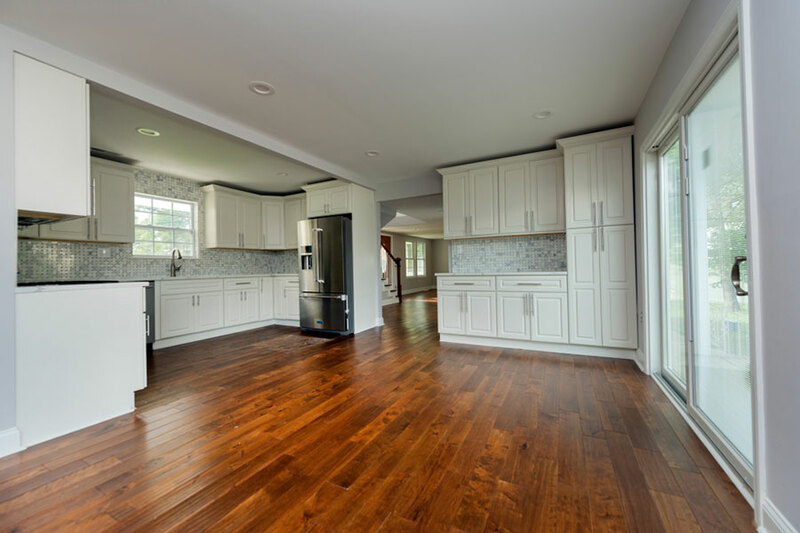 With top-of-the-line hardwood floor cleaning equipment, we can restore your hardwood floor to its original luster. Keep your bucket and mop in the closet and tap on one of the buttons below for help cleaning your hardwood floors! There are few things more stressful than moving. You add packing and planning on top of kids, work, school, sports, and sleep (if you can get it), and you may be left wondering how you’re going to get it all done. ​Wouldn't it be nice to be able to hire just one team for all your cleaning and home repairs needs? To only get one emailed invoice, and simply pay one company to come in and get your home or rental property all cleaned up — and have it ready to go back on the market as quickly as possible? Well, now you can with the Presto team! 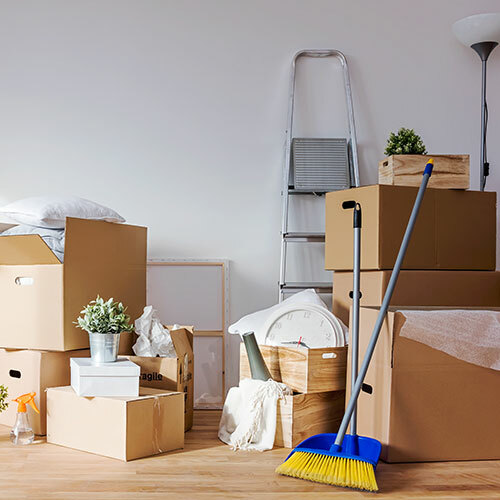 With team Presto, there's no more waiting around for all those different contractors you may need to hire to get your home move in / move out ready. This can be all time consuming and stressful — not to mention very costly. Let team Presto handle all of that for you from start to finish. One call and we can do it all! At Presto Carpet & Tile Cleaning, we stand by work 100%. In the nearly 20 years in this business, we can count on one hand the number of refunds we've given. We're confident in our services — and confident that you'll love the results we acheive for you! 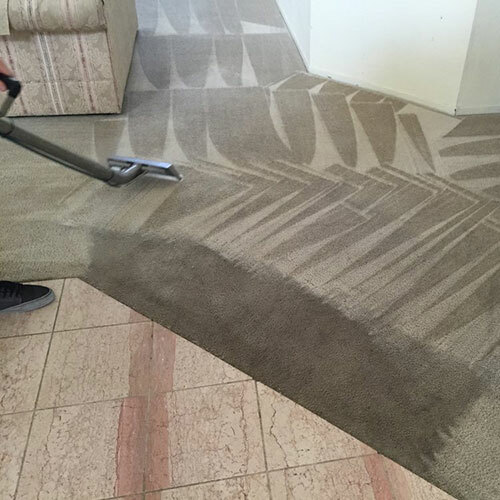 At Presto Carpet & Tile Cleaning, we promise to meet the highest standards in the industry by delivering a quality service at the best value. We apply our products with the utmost care and our services will be delivered by trustworthy, friendly professionals. No matter what type of cleaning you need, the process will be smooth and stress-free. We stand behind our work. We follow up every job we complete. We offer same-day service at no extra charge. Our customers choose us for life because we deliver our services the right way with personal respect for the customer, a disciplined process, and exceptional service. But don’t take our word for it... read what your neighbors are saying about our services! Give us a call at (925) 378-4998 if there is any additional information you would like or if you have any questions or concerns. 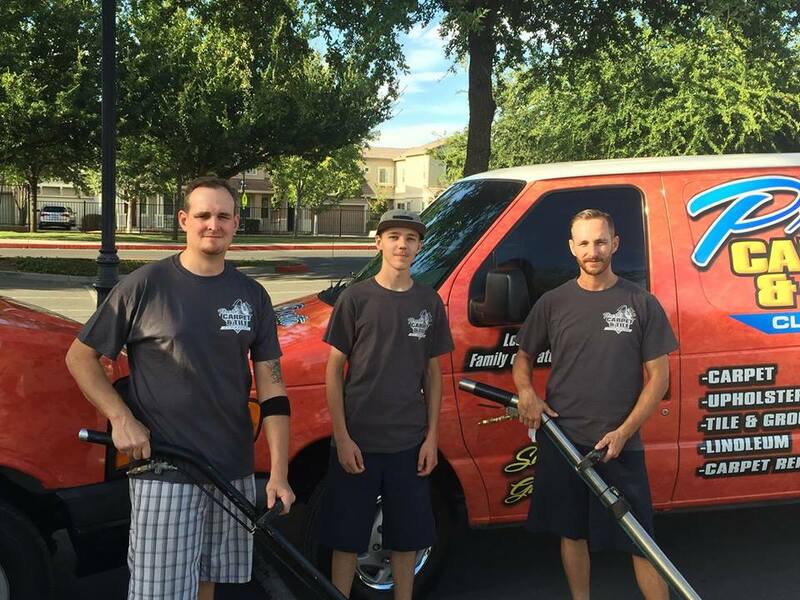 We look forward to being your carpet cleaning company of choice!